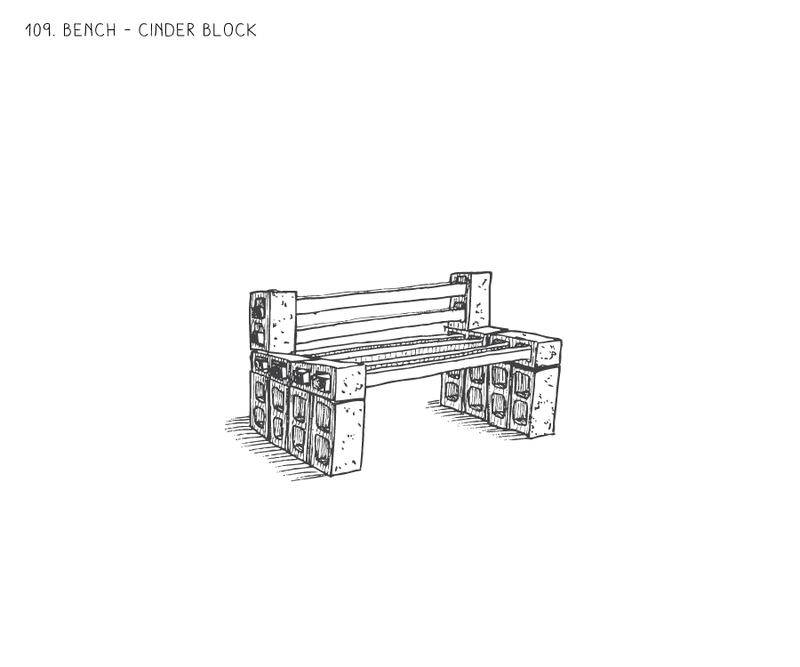 Description Creates simple and affordable benches using cinder block and wood. Typical Dimensions Blocks typically sized at 16 in. long x 8 in. wide x 8 in. tall. Wood slats can but cut to desired size. Estimated Cost $1.25 / block; $5-10 / board. 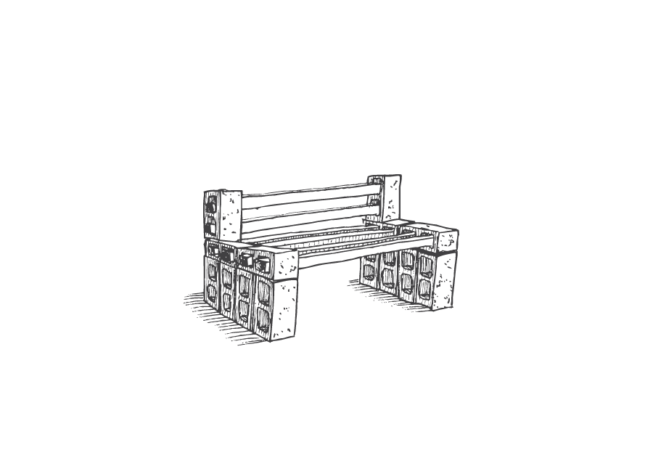 Curb Extensions / Plazas / Activated Alleys Use wood and cinder blocks to create a bench for seating in temporary public spaces including parklets, block length or large corner curb extensions, or wherever additional seating is needed (ex: bus stops). You can paint the wood and cinder blocks and even add soil and plants inside cinder blocks to enhance visual appeal. Cinder blocks can be heavy, take caution in transporting. Place blocks every 4 ft. for bench length for stability. Due to low-cost, this bench is commonly used for demonstration projects, but will last longer if need be. Materials can be re-used for other projects. Borrow or reclaim cinder blocks and use recycled wood if possible. Supplies can be purchased from lumber yards and/or construction supply retailers.